John A. Martin & Associates, Inc. Caltech Labs Open for Business - John A. Martin & Associates, Inc. The Caltech Karman labs have officially opened for business! The project, which was a design-build effort between MATT Construction, CO Architects and JAMA, included two main lab spaces. 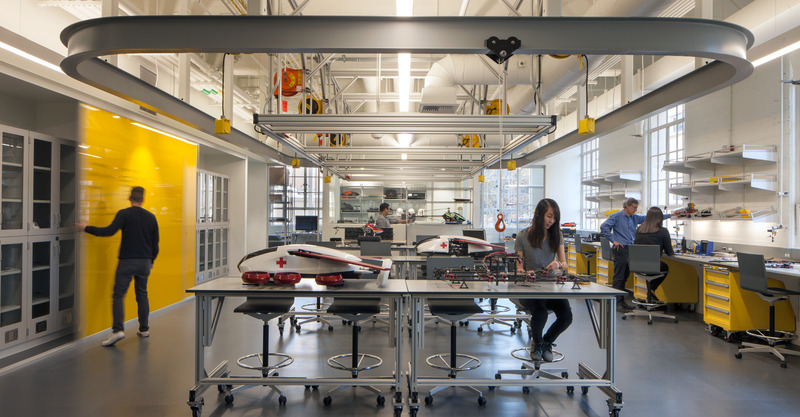 The first was the Solar Space Power Initiative located in the existing building’s subbasement, and the second was the Center for Autonomous Systems and Technologies (C.A.S.T.) lab. The CAST lab (shown) is located on the ground floor and connected to a newly covered, 3-story open-air drone testing arena and observation deck. Congratulations to the project team, which included Kurt Clandening, Greg Orozco, Kent Kaewwaen, Mitch Fanning, Art Padilla, and Celia Barraza.